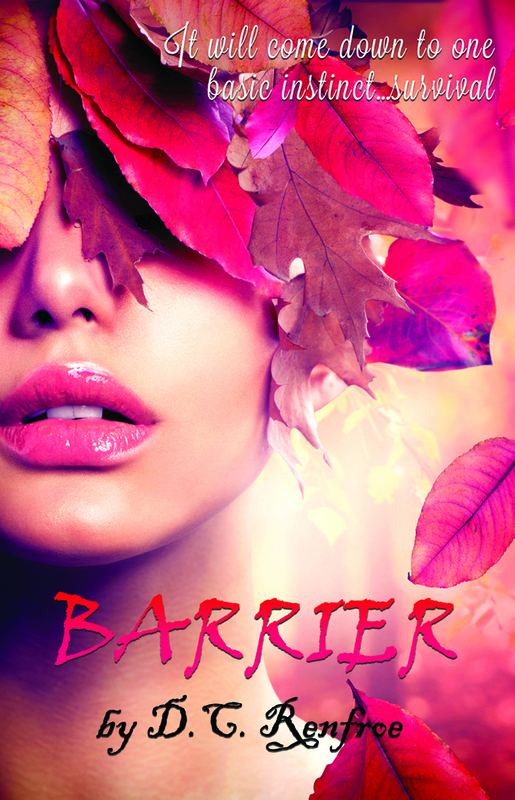 Today is a special excerpt from the romantic thriller, Barrier, by D.C. Renfroe. Also, Barrier will be $0.99 during the tour. I began writing many years ago and put it aside to raise a family. I put myself through college working toward a Bachelor’s Degree in Communication, which I have almost completed. I took every writing class that was offered and finally put pen to paper after dreaming of completing a novel for almost twenty years. In the meantime, I worked as a freelance journalist for a local newspaper briefly and wrote a personal blog while living in south Florida. I currently work as an Instructional Designer based in Austin, Texas. I am a mother of four and truly believe they are my greatest creation! Two of my children inherited my love of writing and I encourage them to write every chance they get! When Claire Luna is kidnapped and taken to a remote island, her predictable life is torn to shreds. She thought she understood grief, loss and loneliness. But nothing prepared her for the island. Tucker Knight had his world turned upside down when he was a young teen. He’d known love, security and normality. But things changed, and somehow he lost his innocence along the way. Barrier takes you on a compelling, thrilling and sometimes brutal journey of Claire and Tucker, who in a bid to control their destiny, must learn about trust and submission. And also about love. The island is under the control of Dr. Stephen Bell, a scientist obsessed with the secrets of humanity through genetic engineering. Claire is part of his obsession, and quickly comprehends Bell’s twisted intentions. She is forced to decide between submission and life-altering consequences. In her desperate attempt to survive, Claire surprises Bell and Tucker with her strength to fight. But, can she trust Tucker? Is he her enemy or her savior? Claire understands that to surrender means to survive, but can she endure? Tucker can’t help but be enamored by the spirited and determined Claire, but to survive, he must face and overcome his haunting past. Up until Claire’s arrival on the island, he had never thought himself capable, or deserving, but perhaps this was his chance to finally do the right thing. I dug my feet into the carpet. If I was to choose the path that surrendered me to this island, it would not be without a fight. Tucker saw the defiance in my face, the change in my stance. “Don’t do this, Claire.” He came closer. I didn’t respond. “Please, it’s just a few tests.” He was inches away. His voice was low. He shifted his eyes from me to the door. I felt the betrayal I had on the beach, when I realized he was stopping me, keeping me here, like Bell. He must have seen my skepticism. His expression twisted into hurt. I braced myself for flight, poised like a cat ready to pounce. My knees bent slightly. I rotated to the balls of my feet for more sprint speed. “Claire.” His voice was a warning. I sprung. Toward the back of the house, where there were less guards. He bolted after me. I was a tenth of a second faster than him. He made it to the door of the bedroom, just as I was closing it, his hands hit the door. I locked the knob. His fists slammed into the wood. “Claire, don’t do this. Please, you don’t know him like I do.” He was talking about Bell. A painful burn filled my stomach. He was right. I didn’t know him like he did, which only reminded me he was the adversary. He was a part of the assemblage I was fighting against. He was who I was running from. I pushed the window open, pushed the screen, and climbed out. My feet landed in the soft grass. I paused, looking in each direction. The guards were at the front door, expecting me to emerge from the house with Tucker. Tucker’s pounding on the door would only give me seconds before they realized what I had done. My knees bent and flung me forward. I ran toward the fence. If the barbed wired didn’t slice me to pieces, the tower guard would surely shoot me, but so be it. I ran hard. My heart rate pounded in my ears like music, a rhythmic, steady, swift beat. My hands landed on the fence, it clattered and sung from the impact. One foot lifted and fit snugly in one of the rungs of the fencing. My other foot lifted and almost made it into its place before strong hands flung me from my place. The hands hurled me to the ground. I thumped against the hard ground. I felt the air leave my lungs. Each breath was like sucking through a straw. One of the guards was standing over me. He put one foot on each side of me and crouched down. He wrapped his hand around my throat. I closed my eyes. This was it, the moment I had prayed for since I had been snatched into that van. Surely he would kill me. I had a dream a long time ago about Claire and Tucker. Their story has just always been in my head, since I was 14 years old. It was inevitable that I would write their story. I was 14 years old the first time I "tried" to write a book. I spent my summer vacation typing on an old punch key typewriter. I was instantly hooked. No, I am not a full time writer. I am work in Austin as an Instructional Designer. I write at night and on the weekends. Or anytime I have a few minutes to write my thoughts down. When I really need to work out the story in my head, I take a bath and turn out the lights. I lay back and let my imagination take over. Writing isn't always easy, but when the story takes over your thoughts, it’s a necessity. I’m winding up this week with Ginny Lowe Connors who is talking about her collection of poems called, Toward the Hanging Tree: Poems of Salem Village (Antrim House Books, 2016). Ginny Lowe Connors is the author of three poetry collections: The Unparalleled Beauty of a Crooked Line, Barbarians in the Kitchen, and most recently, Toward the Hanging Tree: Poems of Salem Village. Her chapbook, Under the Porch, won the Sunken Garden Poetry Prize. 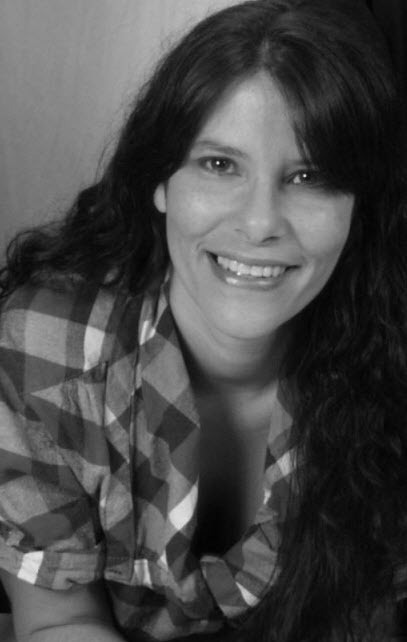 She is on the executive boards of the Connecticut Poetry Society and of the Connecticut Coalition of Poets Laureate. She served as the Poet Laureate of West Hartford, Connecticut from 2013-2015. Connors also runs a small poetry press, Grayson Books. Welcome, Ginny. Please tell us about your current release. 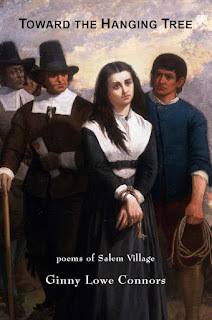 Toward the Hanging Tree is lyric history; a book of poetry that looks into the heart of the Salem witchcraft mania of 1692, telling the story from multiple points of view. The topic fascinates me! The answers are not all clear, and that is always fruitful for poetry. When I was in Salem for the Mass Poetry festival a couple of years ago, it was clear that the town was capitalizing on the tourist-angle of this incredible event (even though the main events took place in the town now known as Danvers), but my thought was: There needs to be a poetry collection about this! The era of the witch hunt was rich with mystery, fear, and well—just all the human emotions. That’s poetic territory. I investigated and found nonfiction books and a few novels, but nothing much in the way of a poetry collection. So I set out to write one. It also happens that my birthday is on Halloween, a day associated in some people’s minds with witches and deviltry. And at age eleven I acted in a college production of Arthur Miller’s The Crucible. They needed some young girls for the production. When I visited Salem, I remembered that brief acting experience and wanted to find out more about what actually happened in 1692. Miller took some liberties with his script, but his implied commentary on the way people scapegoat others and attack them was right on target. Of course, the McCarthy hearings were going on when he wrote his play, but the same kind of fearful turning against others in very hateful ways is still quite evident in our country today, as anyone who pays the slightest attention to political events is aware. Toward the Hanging Tree takes place in the seventeenth century, yet its theme and relevance are timeless. What do you enjoy most about writing poems? To name something seems to make it more knowable, and yet so much of what we experience is hard to name and hard to comprehend. Poems try to find the words for those feelings that can’t otherwise be captured. I love that effort. Poetry helps us pause, notice, and reflect. In our busy, distracting world, that is a wonderful thing. I loved working on Toward the Hanging Tree; it allowed me to explore a fascinating historical event and give voice to some of the people who were involved. The subject matter is a little mysterious and highly emotional—which works well for poetry. I told the story from a variety of perspectives. Everyone has a story to tell, and everyone living through a traumatic event or series of events has a different way of seeing or understanding it. That interests me! Ultimately, I don’t believe that there is ever just one truth. The more facets one can examine, the more the complexity of a situation is revealed. What form are you inspired to write in the most? Why? I generally write in free verse, but have been known to write pantoums, triolets, some other forms and invented forms. My latest book contains poems in a variety of forms, some invented. The needs of the poem ultimately dictate the form used. What type of project are you working on next? I have been editing an anthology called Forgotten Women, which should be in print in the beginning of 2017. It includes poems about underappreciated women, some who were part of history, and some who represent ordinary women whose contributions are mostly unnoticed. Meanwhile I am writing various poems of my own, but not working on a book of my own poetry. When did you first consider yourself a writer / poet? I have always liked to write, including poetry. Calling oneself a poet doesn’t change the practice much. But it’s true that I have become more intensely involved in the poetry world during the past ten years. My children are grown now and I have just recently retired from teaching. That frees me to spend more time on writing projects. How do you research markets for your work, perhaps as some advice for not-yet-published poets? I read several journals and look at postings online. Poets and Writers Magazine is a wonderful resource. They also have an online presence. In addition, I am part of a writing community in Connecticut and we tend to share ideas and information. I have difficulty coming up with good titles for my poems. That is usually the last part of my revision practice. At various times I wanted to be a clown, a teacher, a cowgirl, a veterinarian, and a writer. Reading one poem a day is a practice that can quiet the mind and enliven the spirit. Of course, poetry addicts will need to read more than one a day, but even people who don’t see poetry as part of their world can find that they enjoy this practice. Thank you for being here today, Ginny. And Happy (a little early) Birthday! My special guest today is Emily Murdoch. She’s chatting with me about her historical romance novel Conquests: Hearts Rule Kingdoms. Emily Murdoch is a medieval historian and writer. Throughout her career so far she has examined a codex and transcribed medieval sermons at the Bodleian Library in Oxford, designed part of an exhibition for the Yorkshire Museum, worked as a researcher for a BBC documentary presented by Ian Hislop, and worked at Polesden Lacey with the National Trust. 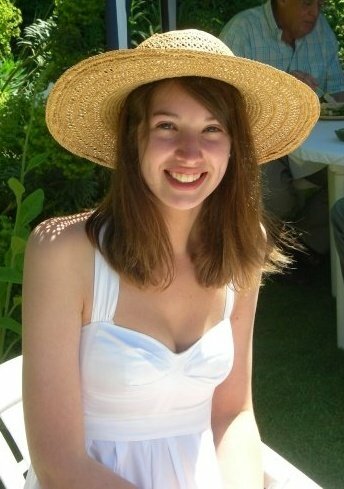 She has a degree in history and English, and a master’s in medieval studies, both from the University of York. Emily has a medieval series and a Regency novella series published, and is currently working on several new projects. Welcome, Emily. Please tell us about your current release. Conquests: Hearts Rule Kingdoms is a historical romance set in 1069 that is centred on two people: Avis, an Anglo-Saxon woman and Melville, a Norman man. Two people trapped in a situation not of their making. While I was studying my MA in Medieval Studies I became fascinated by the horrendous social situations that political situations place them in, usually never due to their choices. This was a fun way to explore that. The village burned in the darkness. Anglo-Saxon women crawled in the ashes and blood, crying, but quietly. They did not want to be found. They knew what would happen to them if they were discovered. In the light of the flames only one building could be seen left standing; the great manor house. None dared approach it. They knew that if the men returned, that would be exactly where they would go to. In the courtyard of this house, a shadow wept. A young girl was crouched in a corner, sobbing. The stone wall behind hid her in its silhouette, and she tried to muffle the sounds of her cries. She did not want to be discovered. A noise startled her; the sound of hooves on wood. They were coming. Picking herself up and wrapping her long skirts around her, the girl ran – but she was not fast enough. A whining man’s voice rang out into the darkness and broke through the silence. It was the rider of the horse that she had heard, but now many more horses had joined him. It was a whole host of men. The girl gasped and tried to run faster, but there was nowhere to run to. Nowhere was safe now. Before she could reach the other side of the courtyard, strong rough hands had grabbed her. The same gruff voice spoke, and the girl struggled. The man holding her had to drag her over to the horse of the speaker. The man had dismounted, and the girl caught sight of his broadsword. She gasped, and pushed backwards trying to stay as far away as possible from the blade. She had seen swords similar to that one. She had seen what they could do. The man was older than her, probably as old as her father. He stank of sweat, and his mean eyes bore down into her. When he gazed down upon his captive, he was surprised. The lonely figure that he had taken to be a child was much older. The girl must be verging onto womanhood. The girl stared back at him. Fear danced in her eyes, but also resentment. She knew why he had come to her home. She knew what he wanted. “My lord Richard asked you a question!” said the man holding her back, twisting one of her arms so she let out a yelp of pain. I’ve gone slightly further back by about a decade, and I’m currently researching a historical character that definitely existed but almost no one knows much about – no more details available right now I’m afraid! I think when I first heard from a reader that wasn’t related to me! The idea that there was something else out there that had read my words, something that I had written just from the sheer love of it, was so exhilarating. I don’t work full time – I love being able to work in an office and be full of drama, gossip, intrigue, and relationships! I write whenever I have time around that and my family. I always want to listen to music from the historical period that I’m working on, but when I’m editing I have to listen to Christmas music! An author. I just wanted to write as a career, to be able to use words in the most beautiful and powerful way to make people think. I’m incredibly fortunate to be able to do that both as an author and as a writer at my job. How can readers connect with you through social media? Thanks for being here today, Emily! Happy writing. Author D.A. 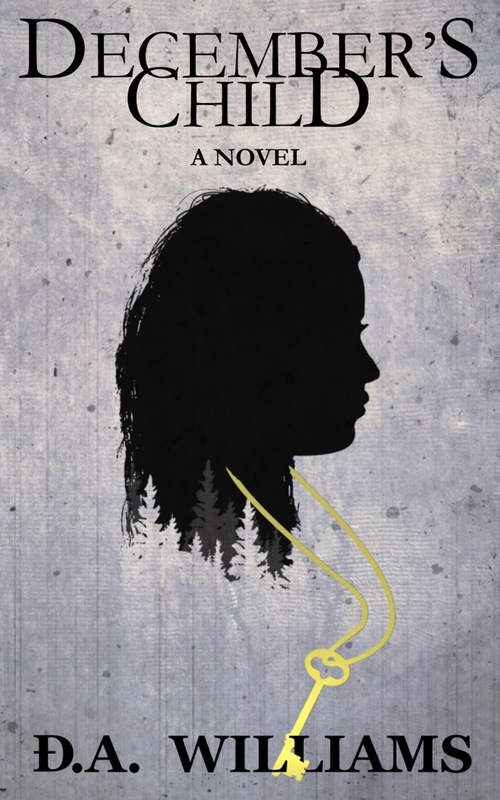 Williams is here chatting with me about her Christian dystopian novel December’s Child. It's an upcoming release from The Crossover Alliance. D.A. Williams is a farmer’s wife and mother above all else. She currently lives in the Texas Panhandle with her husband and two sons, who share their home with two dogs and two cats. It’s a veritable Noah’s Ark. She loves rare steak, homemade sweet tea, and the arts in all forms, with a particular affinity for writing gritty Christian fiction. Welcome, D.A. Please tell us about your current release. 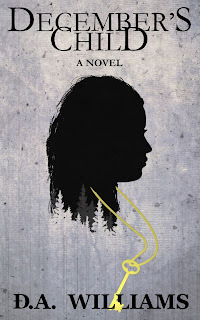 December’s Child is a dystopian Christian novel revolving around an 18-year-old miner named Jett, who has spent her entire young life as a ward of the December Mining Corporation working and selling her body to gain enough money to buy her freedom. Her plans get derailed when she elects to train a citizen bartered by her own mother, and instead finds herself the keeper of a secret that thrusts her into a fight for survival and for answers. It's a hard look at what freedom and safety mean and to what lengths we as a society are willing to go to have them. One morning I was watching the news, it was a day or two after a mass shooting, and they were discussing stripping Americans of their right to bear arms. That was the light bulb moment, for me. It made me question just how far we will take things for safety, or the illusion of it. What freedoms we would willingly give up, and how that would effect life as a result. It also takes a look at what it looks like to go from believing in nothing to finding the edges of faith, which is unusual in Christian pieces--it's typically an all or nothing genre, so I think even secular readers will appreciate it. It's an evolutionary piece, and the end result is what we have here. At the moment I’m elbow deep in the first draft of what I like to call a dark “Bruce Almighty”, a novel exploring an addict’s chance to be God for a day under the working title “The God Wager”. It gets deeper into the Christian concepts than “December’s Child” does. I've really always considered myself a writer—I can't remember a time in my life when I wasn't writing. Being able to call myself an author, though, that's something spectacular, and it made it all seem a bit more real. I’m a full time mom, a full time farmer’s wife, and a ‘sometimes’ writer. When I'm on a roll writing, I can spend a full 8 hours doing it for days at a time, and I'm lucky to be able to do that with 2 extremely forgiving and independent boys who can occupy themselves and don't judge my multitasking too harshly. But most times, if I don't feel like writing or I'm busy, I just don't. I'm not in the “write every day” camp, I don't have the chops for that. Forcing myself to write is like throwing ingredients into a pan with no recipe and cleaning up the ensuing disaster—I prefer to take my time and wait until I have all the correct measurements and ingredients first, and only having to wipe down the counter and wash a few dishes afterwards. My outlines and first drafts are always written longhand in spiral bound notebooks, and I can only use a Zebra brand fine point pen. If I misplace my pen or it runs out of ink, I won’t write until it's back in my hand and ready to go! Just about everything. When I was in kindergarten I wanted to be a garbage man and a ballerina. Girl’s got to dream! I think they're beautiful people. I appreciate their support, I appreciate them just being here on this little planet doing whatever it is their doing and I want them to know they’re fantastic. I love them, I really do. Look for December's Child on November 22! Thanks for being here today, D.A. Authors Michel Prince and Reana Malori are here today to chat with me about their new interracial contemporary romance novel, Unwrapping a Marriage. During their virtual book tour, Michel and Reana will be awarding a $15 Amazon or Barnes and Noble (winner’s choice) gift card to a lucky randomly drawn winner. To be entered for a chance to win, use the form below. To increase your chances of winning, feel free to visit their other tour stops and enter there, too. Michel Prince is an author who graduated with a bachelor degree in history and political science. Michel writes new adult and adult paranormal romance as well as contemporary romance. With characters yelling, "It's my turn damn it!!!" she tries to explain to them that alas, she can only type a hundred and twenty words a minute and they will have to wait their turn. She knows eventually they find their way out of her head and to her fingertips and she looks forward to sharing them with you. Reana Malori writes contemporary novels focusing on multicultural / interracial romance. She firmly believes that love in all its forms should be celebrated and her stories reflect that belief. She hopes to weave stories that pull the reader into her world and helps them to share in her universe, even if only for a short time. An avid reader since the age of 14, she decided to pursue her passion in 2009 and released her first novella, To Love a Marine. Since then, she has released more than 20 books, to include Weekend Fling, Escape to Heaven, Closer to You, and Finding Faith. When she is not writing, you can most often find her enjoying a good book as she is, first and foremost, a romance reader. Reana currently resides in Montclair, Virginia with her husband and two sons who keep her busy laughing, having fun, and making sure she doesn’t take herself too seriously. Welcome, Michel and Reana. Please share a little bit about your current release. What do you do when the love that once set you free, feels like it’s holding you prisoner? Sterling and Elizabeth Jackson have built a life most would envy. A beautiful home, two wonderful children and a very comfortable lifestyle. Yet something is tearing them apart. With divorce looming, they are trying to make it through the holiday season for their family. With clashing schedules, demands from employers and two busy kids, the former lovers have managed to stay out of each other’s orbit, at least for a while. But Fate, or maybe their well-meaning family, has set them up on a collision course. Past memories bubble up to the surface and there’s nothing to stem the flow. What once was amazing has turned hurtful and full of pain. But is that the real story? Is it too late for a couple who once lived and breathed for each other to find their way back? There’s a thin line between love and hate. Will Sterling and Elizabeth be able to mend a love that seems broken and lost, or will the final pull on the holiday ribbon unwrap their last chance to save their marriage. I approached Reana asking her if she would be willing to write a story with me. While we were discussing ideas the idea of what happens after the happily ever after. As two married women with almost two decades a piece we know the ups and downs of marriage and wanted to explore. Although the woman wasn’t trying to be hurtful, Elizabeth didn’t need the reminder she’d missed ninety-seven percent of Molly’s dancing career. Elizabeth sat by her mother who’d finally arrived and kept her coat over the chair next to her. The curtain moved on the edge and she saw Molly peeking out and scanning the audience. Elizabeth gave her a reassuring smile, but could see the disappointment on her face. A sharp pain stabbed at Elizabeth’s heart as her daughter put on a brave face. How many more moments was Sterling willing to miss in her life? Turning her head, she searched for Sterling in hopes of finding him for Molly, but no—once again, work takes priority. The lights lowered in the auditorium and Elizabeth looked back at her daughter who’s face lit up like a Christmas tree before going back behind the curtain. The music started and Elizabeth turned to hear what Sterling was saying. Heat surged through her body. She’d leaned in closer than expected and she ended up brushing her lips against his. Both former lovers froze. Their eyes locked for a moment. Elizabeth held her breath and Sterling’s eyelids became hooded. “You need something?” she asked in a hushed whisper pulling back just enough to avoid the contact, but not so far she couldn’t still smell his cologne; dark and manly. She’d forgotten how warm it made her feel. He moved to her ear, this time she knew the graze of his lips wasn’t an accident. “I do,” he replied. Elizabeth’s eyes fluttered as she tried to come back down from the rush of hormones she forgot she had. Sterling drew out the word our and memories of being part of a couple made tears pinprick her eyes. All she needed was contact with Sterling and she’d become overwhelmed by conflicting emotions. Turning her head, she looked down the aisle of seats filled with their parents and son wondering if there was a possibility they could save their marriage. One thing she knew for certain, is they would have to do it. A marriage was between two people, but was the ‘our’ too far gone to save? For Michel – I’ve got a rerelease of my book The Politician’s Heart in November, which had to find a new home when my publisher closed. In December, my second book in my Love by the Yard football series, Second and Short. In this story you’ll meet Dalton Gresham, an all pro lineman for the Chicago Grizzlies, as he fights a brand he never should have gotten. When he meets Willeen Fire he discovers there’s more to life than being a name. For Reana – There are a few rereleases that are coming out over the next few months. I reclaimed the publishing rights for some of my books and will slowly get those books relaunched. I’m also working on a series featuring men who encompass the everyday man. The series will be called The Four Kings, but the irony is that the men aren’t rich and powerful. But they are all kings in their own right, with their own unique personalities. They’ll have jobs such as handyman, carpenter, surgical technician (Former Army), and a police officer. They’re due to be released in the Spring of 2017. Michel – When my first book, Chrysalis, was published in 2012 and I started getting reviews from around the world. That was amazing to have people connect with my characters no matter where in the world they live. Reana – Once I published Weekend Fling in 2009. It was the first book that I’d submitted to a publisher that was accepted for global publication. Although I’d written a few books before that, at that moment, it felt real to me. Michel – No I do not, I work for a health care company in the billing department. I try to find time every evening as well as weekends to write. If I’m under deadline and I’m behind I use my vacation to catch up on manuscripts. Reana – No, I wish I did. I work in Human Resources at a global cyber security company. Sometimes, finding the time to right can be very tough, but I try to block out time each weekend – and sometimes during the week – to bring my stories to life. Some days my plan works great – other days, not so much. Michel – I write my scenes as they come me. Although I may start at the beginning of the story sometimes I see scenes out of order. I write then link them together. Reana – I never create an outline and tend to write the story as I hear it in my head. Once an idea comes to me, I allow the characters to dictate where the stories go. Sometimes they surprise me, but I just go with it. Michel – I had lots of things I wanted to be, fashion designer, astronaut, astronomer, lawyer, teacher, writer, actress. That’s the best thing about being a writer, I can be all of them and more. Reana – This is funny. I wanted to be an Accountant. A CPA (Certified Public Accountant) to be specific. Michel – I appreciate you stopping by to learn about this story and hope you enjoy Sterling and Elizabeth Jackson. Reana – Unwrapping a Marriage is a story about second chances and fighting for what you love, even when it seems all hope is lost. We hope you enjoy reading their story of Sterling and Elizabeth Jackson as much as we enjoyed writing it. Happy Reading! Thank you for being guests on my blog today!